Signal Separator for extracting brake and turn signals from a combined signal. DIGI-TAILS Taillight Signal Separator module takes two inputs: left brake/turn and right brake/turn and has three outputs: brake, left turn, right turn. 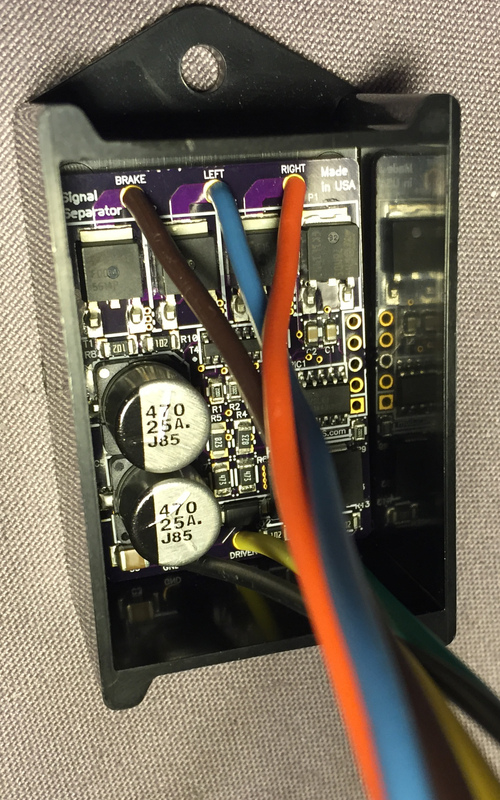 The module can be used with stock wiring to avoid running a brake wire from the brake light switch to the rear of the vehicle or from the turn signal switch to the rear of the vehicle. Each outputs can handle the power required by multiple incandescent bulbs.